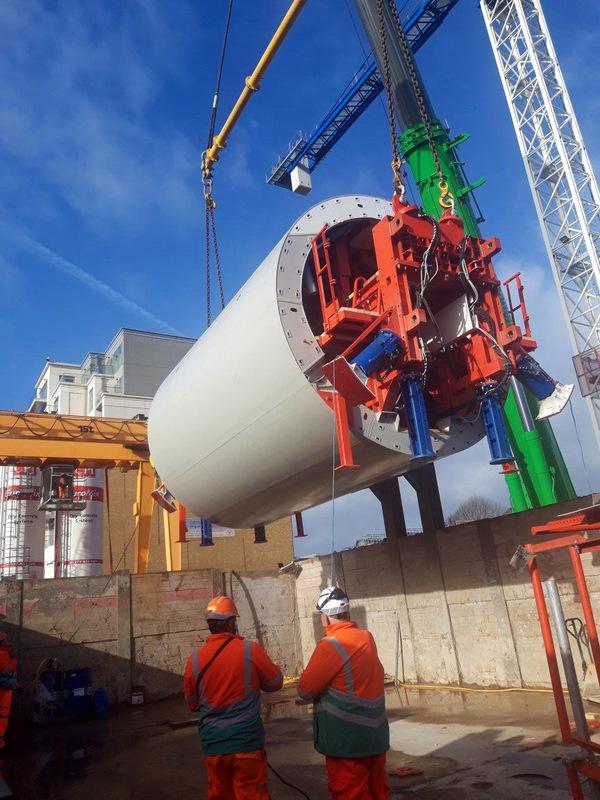 On the 9th of March the Hydrostatic Fullround Shutter - designed and manufactured by Kern Tunneltechnik - has been installed in the Hammersmith Connection Tunnel shaft. The formwork was previously completely pre-assembled and tested in Slovenia and on the site surface. The lifting has been successfull and we now look forward to drive the machine in the tunnel and start with the secondary lining works.